Hollywood is trying to control the world?!? Take it from someone who as worked quite bit in ‘Hollywood’. No matter what anyone might have told you; that ‘Hollywood’ would have an ‘agenda’ is completely impossible. So, here I find myself addressing an urban myth and conspiracy theory that is so basic to see through that I’m myself astonished that I’m even addressing it, but judging by several comments under our videos covering the development of mass media in the1920s… it seems there is some need for at least a comment. First of all, getting anyone to do anything in the same direction at the same time in ‘Hollywood’, no matter who you are is like herding cats. If there is one thing that unites, or rather divides ‘Hollywood’ it is paranoia, egocentrism and dreams of gold. The entertainment industry would in fact probably be the worst place on earth for anyone to try to start a conspiracy… and if the division doesn’t stop you, then the incapability of the industry to keep the most basic secrets would soon unmask the whole thing. Turn on a camera and ask anyone in ‘Hollywood’ a question and they will tell you anything you want, even if it’s that their grandmother was a drug-peddling, Nazi mass-murder… actually they would probably tell you that even if it isn’t true if it makes them look cool. Second of all; sure, many individuals in ‘Hollywood’ have political agendas, but a) They are vastly different and range from the far right to the far left. b) Even when they are on the same end they are neither aligned, nor in cahoots with each other. Take as an example Mel Gibson and Clint Eastwood who are both pretty far out on the right. They would rather chew one of their own legs off than be associated with each other. Third of all, the reason I put ‘Hollywood’ in quotation marks is that it isn’t what you think it is. As a denotation for the entertainment industry it makes less and less sense as the industry is getting more and more decentralised, a trend that is recently increasingly fast due to the internet. 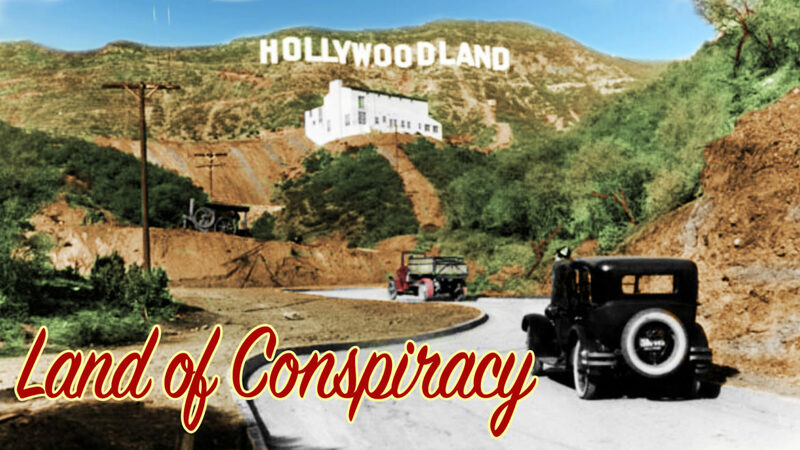 Hollywood as the epicentre of the world of entertainment only existed between the 1920s and 1960s and even then it certainly wasn’t about any agenda other than fame and fortune. If you’re talking about the creative elite of the US entertainment industry, you could perhaps talk about something like ‘Hollywood’, but then we’re only talking about the iceberg of what has become a pretty large industry with an enormous amount of very diverse stakeholders all over the world. If you’re actually talking about Hollywood, LA – well, that’s a place full of tourists, production lots for show, and law offices inhabited by lawyers focused primarily on safeguarding copyright and administrating film finance. It’s actually a quite boring place and that comes from someone who loves LA and has had a lot of fun in our industry there. So, why do people think this? If we ignore the more complex issues at play here, such as pulling the media industry into a web of anti-Semitic conspiracy theories, my educated guess is that it’s a classic case of confirmation bias. If for some reason you have started to believe that “Hollywood’ is a leftist conspiracy – seeing Susan Sarandon speak her politics in front of millions of people certainly makes it look like you have a point. If, to the contrary you think that the right has ‘Hollywood’ under firm control, seeing Clint Eastwood sit on a chair in protest of lefty politics at a US presidential convention most certainly makes it look like you have point. So guys and gals, think it over just a second before you swallow nonsense like this. National Socialism an extreme Left Wing Ideology? Was Marie Antoinette an innocent victim?